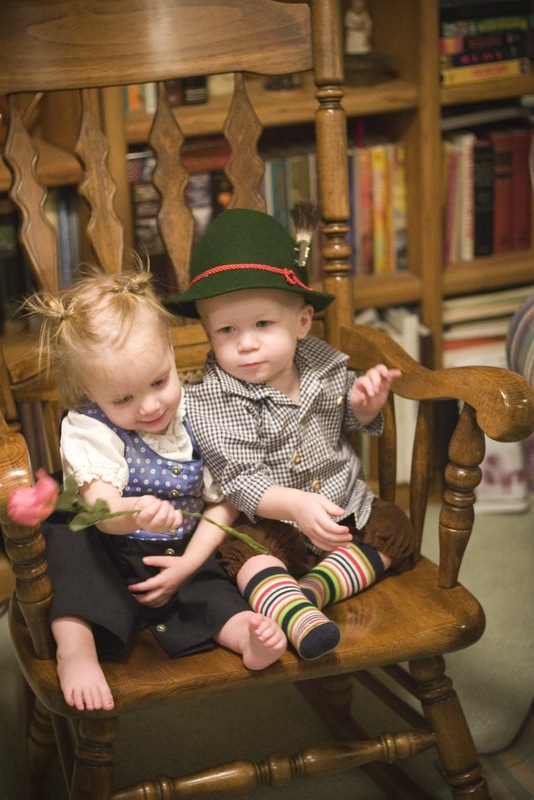 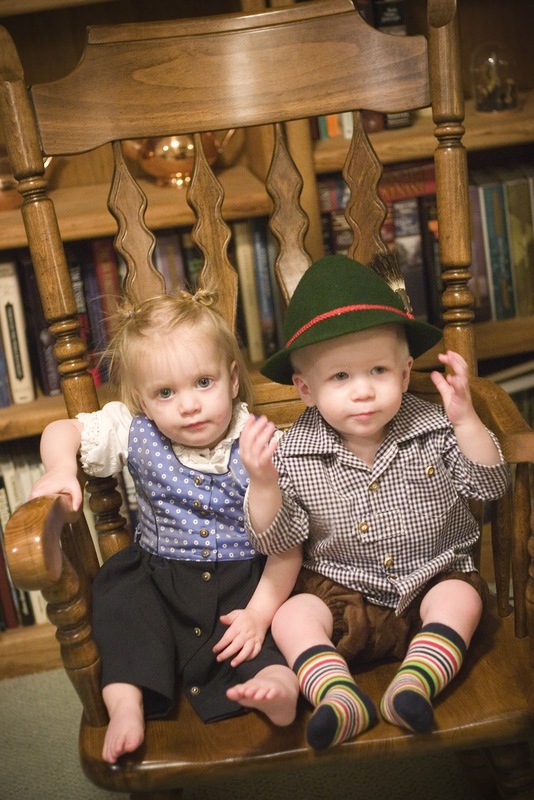 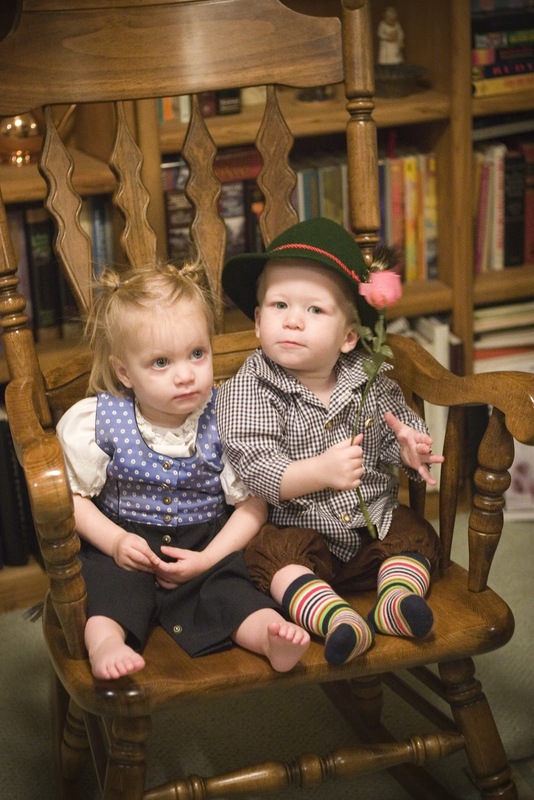 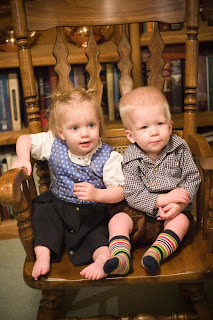 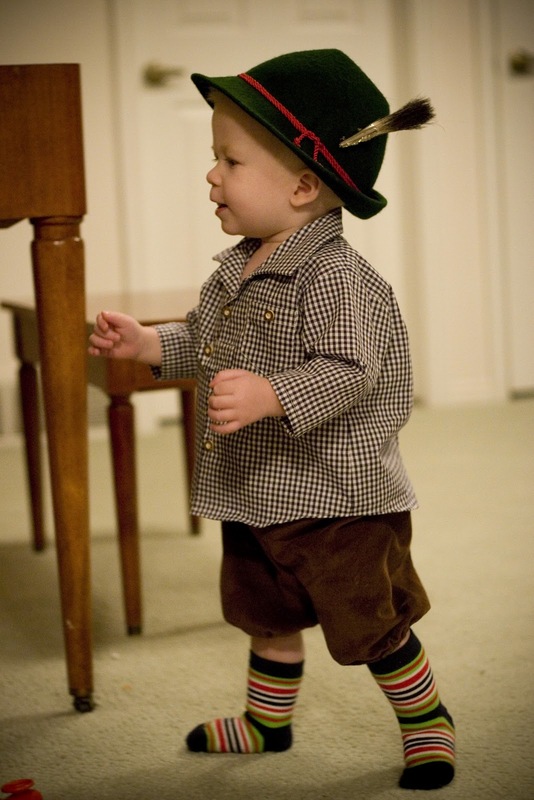 When my parents were in Austria, they bought this little traditional dress for Amelia. 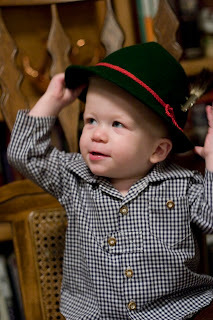 Then she also bought Cooper this fabric and buttons to make him a little authentic shirt. The last time that my parents visited, my mom brought this German hat that belonged to my brother as a child. 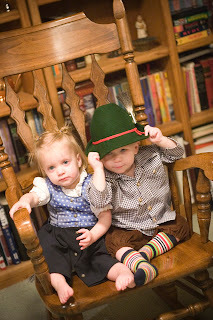 We attempted a little photo shoot. I need to try again when they might be in a little better mood, but we did get some cute shots!